Mr. George J. Tsunis is the Founder, Chairman and Chief Executive Officer of Chartwell Hotels as well as an attorney, developer, philanthropist and public policy advisor with a strong interest at the intersection of economic and foreign affairs. Mr. Tsunis’ Chartwell Hotels is an innovative company that owns, develops and manages Hilton, Marriott and InterContinental Hotels Group franchises across the Northeast and Middle Atlantic states. Under Mr. Tsunis’ leadership, Chartwell Hotels enjoyed tremendous growth since its founding in 2005, including through a national economy gripped by the Great Recession. Chartwell continues to grow, opening the first ever Generation 9 Marriott Residence Inn in Williamsport, PA, in January 2013. The firm’s focus also includes development for community renewal, which assists regions in benefitting from tourism, business travel and other investment dollars from around the nation and the world. Prior to founding Chartwell, Mr. Tsunis was a partner at the law firm of Rivkin Radler LLP, Long Island, NY’s largest law firm representing both private clients and municipalities in the practice areas of land use and zoning, real estate corporate law, municipal law and commercial litigation. Mr. Tsunis’ public service includes time as a Legislative Attorney at the New York City Council, Special Counsel to the Town of Huntington (NY) Environmental Open Space Committee and Counsel to the Dix Hills (NY) Water District. Mr. Tsunis served as an advisor to the United States Senate Committee on Banking, Housing, and Urban Affairs, where he furthered the Committee’s legislative role of overseeing a diverse group of issues, including but not limited to, banking, insurance, financial markets, securities, housing, urban development and mass transit, international trade and finance, and economic policy. 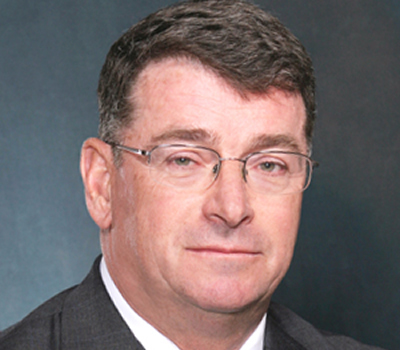 Mr. Tsunis is a member of Arbor Realty Trust’s Board of Directors. Arbor Realty Trust is a nationwide real estate investment trust and direct lender for senior housing, healthcare and other diverse commercial real estate assets. Mr. Tsunis is a member of the Board of Directors at Spring Bank of New York, which is geared towards building prosperous and abundant futures for the families and and communities of New York City’s five boroughs and the greater region. Mr. Tsunis currently serves as Chairman of The Battery Park City Authority. The Battery Park City Authority is the state public benefit corporation that oversees Battery Park City, the 92-acre planned development on Manhattan’s lower west side. He was appointed to the board of The Battery Park City Authority by Governor Cuomo. Mr. Tsunis is Director of the New York Convention Center’s (Jacob Javits Center) Operating Committee and Director of the New York Convention Center’s Development Committee. Mr. Tsunis chairs the Nassau Health Care Corp., or NuHealth, the health system that operates Nassau University Medical Center, A. Holly Patterson Nursing Facility, NUMC Primary Care Clinic and co-operates six Long Island Federally Qualified Health Clinics located throughout Nassau County. It is the largest public hospital in Nassau County with a distinguished Burn Center and is the region’s only safety net hospital. Nassau University Medical Center comprises of two campuses of over 1.7 million square feet and employs over 3,300 staff. The health system has gained national recognition as a Level One Trauma center. Additionally, Mr. Tsunis is the Chairman of the Nassau Queens Performing Provider System LLC which is comprised of Catholic Health System, Northwell Health System and Nassau University Medical Center as the lead and is responsible for overseeing the successful implementation of the Delivery System Reform Incentive Payment (DSRIP) program. Mr. Tsunis is a member of Hofstra University’s Board of Trustees and serves on its Academic Affairs, Finance, Development and Alumni Affairs Committees. He is also a Director of the Don Monti Cancer Research Foundation, Trustee of the Hellenic Initiative and member of Friends Academy’s Board of Trustees, serving as its Building and Grounds Committee Chair as well as a member of its Finance and Investment Committees. Through his role at Friends Academy, Mr. Tsunis recently oversaw the expansion and renovation of the Middle School building. Mr. Tsunis was a long-time member of the Archdiocesan Council of the Greek Orthodox Archdiocese of America and is a member of both the Faith and Leadership 100 Endowments. Mr. Tsunis was recognized with the Saint Paul’s Medal, the Greek Orthodox Church of America’s highest recognition for a layperson. His Eminence Archbishop Demetrios personally awarded the Saint Paul’s Medal to him. Mr. Tsunis is a member of the Order of Saint Andrew the Apostle, an Archon of the Ecumenical Patriarchate, the highest ecclesiastical honor that can be bestowed upon a layman by His All Holiness Ecumenical Patriarch Bartholomew, and also served on its National Council. Mr. Tsunis was a member of the Brookings Institution’s Foreign Policy Leadership Committee and its Metropolitan Studies Leadership Council as well as a member of the Business Executives for National Security’s Board of Trustees. He has also previously served on the Board of Trustees at Dowling College, the American Red Cross Suffolk County Chapter, the Huntington (NY) Chamber of Commerce/Committee on Good Government, the Education and Assistance Corporation and the Private Industry Council of Suffolk. Mr. Tsunis’ interest in public affairs began in his youth with his selection and participation in the American Legion’s Boys State Program through which high school juniors participate in a one-week simulated government. Subsequently, in 1984, American Legion Post 694 Northport, NY, awarded Mr. Tsunis its Medal of Citizenship. In 1999, Mr., Tsunis was awarded the Presidential Medal by Dowling College. In 2003, he received the Harry Chapin Humanitarian Award from Long Island Cares. In 2007, he was the WLIW Honoree at its golf tournament. Furthermore, Mr. Tsunis was selected by Long Island Business News as one of the 40 most influential people on Long Island under 40 years old. Mr. Tsunis was the recipient of the Cyprus Federation’s Justice for Cyprus Award, which was personally awarded to him by the President of Cyprus, Demetris Christofias, in 2010. In 2012, President Christofias also presented Mr. Tsunis with a plaque of sterling silver olive branches, signifying peace. This award is traditionally reserved for heads of state. In 2013, the new President of Cyprus, Nicos Anastasiades, similarly honored Mr. Tsunis for his philanthropic efforts on behalf of the children of Cyprus. Mr. Tsunis was the Long Island Children’s Museum’s honoree at its 2012 Annual Gala, the recipient of the Dickey Humanitarian Award from the Lycoming County (PA) United Way and recognized as a member of the United Way’s Tocqueville Society. He additionally received the Israel Unity Award from the State of Israel Bonds of Central Pennsylvania Chapter. He was the Vice Chairman of the 2012 New York City Veterans Day Parade and recognized for his efforts helping to erect the bronze statue, known as De Oppresso Liber, which overlooks Ground Zero in New York and honors the US Special Forces, also known as the Horse Soldiers. In 2014, Mr. Tsunis was the Grand Marshall of the Greek Independence Day Parade in New York along with Senator Charles Schumer. He was the youngest Grand Marshall in the parade’s history. He was also an honoree at Congresswoman Carolyn Maloney’s Queens Gala for his commitment to the borough of Queens and was also recognized by The Naupactian Brotherhood of New York for his efforts on behalf of the Greek community. In addition, Mr. Tsunis received the Lt. Detective Joseph Petrosino Association in America Humanitarian Award. Also, in 2014, Mr. Tsunis was the honoree and keynote speaker at Hofstra University’s National Center for Suburban Studies’ Celebration of Suburban Diversity Banquet. The following year, the National Association for the Advancement for Colored People (NAACP), Huntington Chapter, awarded him its Freedom Fund Award. Mr. Tsunis was the 2018 honoree by Nargis Dutt Memorial Cancer Foundation Inc. for his global philanthropic endeavors. This global foundation provides for medical treatment of cancer in the poorest areas of India and provides financial support for physician training for the treatment of cancer. Mr. Tsunis was the 2018 recipient of the “Good Scout Award” presented by the Boy Scouts of America Theodore Roosevelt Council for driving change in Nassau County. He was the 2018 LGBT Network honoree at its twenty-fifth anniversary gala for his commitment to promoting equality, tolerance and education to all members of all communities. Additionally, Mr. Tsunis was also appointed to Vice Chair of the Toys for Tots Campaign for donating his time and efforts in supporting the United States Marines with their campaign of providing holiday gifts to less fortunate children. Two Hundred fifty million children have been given toys by Toys for Tots. Mr. Tsunis has established the George and Olga Tsunis Fellowship for Cancer Prevention at Stony Brook University Hospital. In furthering their belief in education, the Tsunis also established the James and Eleni Tsunis Endowed Distinguished Academic Scholarship at Hofstra University, the James George Tsunis Memorial Scholarship at Pennsylvania College of Technology and the George James Tsunis ’92 and the Xanthi and Father Alex Karloutsos Scholarships at St. John’s University’s School of Law, where Mr. Tsunis is also a member of the university’s Loughlin Society. The Tsunis also created the James and Eleni Tsunis Endowed Scholarship at the Fashion Institute of Technology. Mr. Tsunis also underwrote the James and Eleni Tsunis Library at the Greek Orthodox Church of the Hamptons in honor of his parents. Mr. Tsunis is also the underwriter of the North Shore Hebrew Academy Choir Program, located in Great Neck, New York. Mr. Tsunis received his Bachelor of Arts degree from New York University and his Juris Doctor from St. John’s University’s School of Law. He and his wife, Olga reside in Matinecock, NY, with their three children. B. J. Jones has over 20 years of public sector experience, working on a variety of initiatives to improve customer service, safety, transparency, and accountability in government. He started his career in state and local government consulting, working on engagements that included modernizing the Georgia Department of Revenue, conducting a statewide performance audit for South Carolina, modernizing motor vehicle services for the state of New Jersey, and analyzing the economic impacts of expanding Metrorail in Northern Virginia. He then joined New York City government in the first term of the Bloomberg administration, working his way up to serve in a variety of roles, including Assistant Commissioner of Strategic Planning and Implementation at the Department of Buildings and, later, Deputy Director of the Mayor’s Office of Operations. Throughout his tenure with the city, he has been involved in a number of groundbreaking initiatives, including implementation of the city’s first online permitting system, the first overhaul of the building code in 38 years, expansion of the city’s job application portal, and providing temporary shelter and housing repairs for victims of Hurricane Sandy. 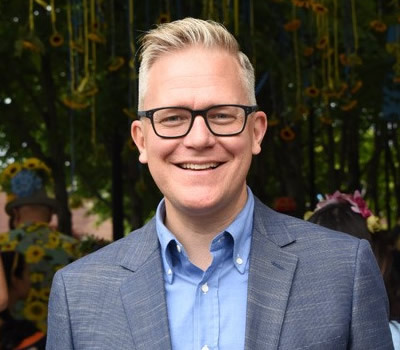 As Chief Administrative Officer at the Battery Park City Authority, he has overseen both internal operations as well as cultural and educational programming in Battery Park City Parks. His focus includes expanding and diversifying community program offerings, modernizing processes and strengthening resiliency. B.J. received his undergraduate degree in Management from Gettysburg College, a Master of Public Administration degree from American University and a Master of Applied Positive Psychology degree from the University of Pennsylvania. He is a certified Project Management Professional. AIG Executive Vice President and Chief Information Officer Martha Gallo is a highly experienced business leader in the global financial services industry. A member of the executive team driving the company’s transformation, Martha oversees a global IT organization that is focused on aligning technology deliverables with business strategy, and modernizing the company’s global technology footprint. 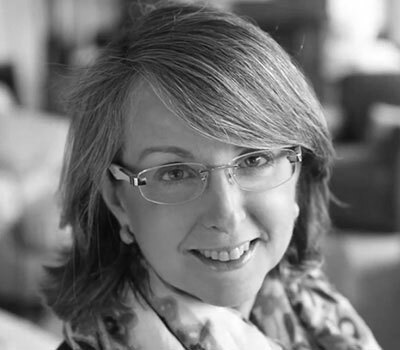 Martha joined AIG in 2015 as Chief Auditor. In this role, she transformed the Audit operating model by promoting more active stakeholder engagement during global change initiatives, and setup an organization with a proven track record of delivering measurable, sustainable results that drive business performance. Martha’s ability to interpret strategy and bring business leaders to the table to develop solutions that drive efficiency and profitability is fundamental to her success. 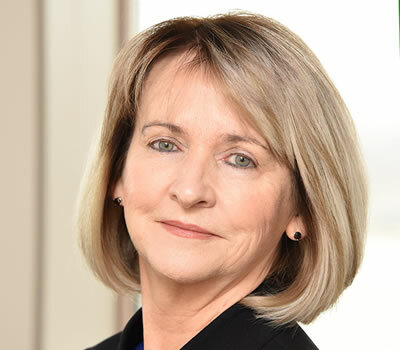 Prior to AIG, Martha spent three decades at JPMorgan where she drove the creation and execution of strategies to transform disparate teams and infrastructures to achieve simplified and high-performing outcomes in audit, compliance, credit risk, technology and operations. She also played a leadership role in all of the merger and integration efforts that are now part of the JPMorgan Chase operating platform. Martha is a graduate of Cornell University, with a B.S. in Human Development and Family Studies and a M.B.A. in Accounting and Finance. She currently serves as Co-Chair of the Women’s Refugee Commission Board. Donald Capoccia is the managing principal and founder of BFC Partners, a real estate development company that has been involved in the planning, development and construction of some 4,500 units of housing in New York City with a combined value of $3.5B. His projects also include approximately 250,000SF of neighborhood retail and community facility uses. Mr. Capoccia began his development and construction activities in New York City in 1982, just prior to the completion of a Masters Degree Program in Urban Planning at Hunter College, and after completing a BA in Urban Studies from the University of Buffalo in 1979. Mr. Capoccia and BFC have focused predominately on the production of affordable housing, investing in a concentrated geographic strategy that has helped spur the resurgence of key New York City neighborhoods; the East Village, East Harlem, Williamsburg and Downtown Brooklyn. Mr. Capoccia has pioneered the production, and promoted the importance of affordable home ownership opportunities to these neighborhoods. In addition to his work as an active NYC builder, Mr. Capoccia has had substantial involvement with the arts, architecture and urban planning issues as they impact New York City, New York State, and Washington, DC. Mr. Capoccia is also involved in numerous industry related organizations. 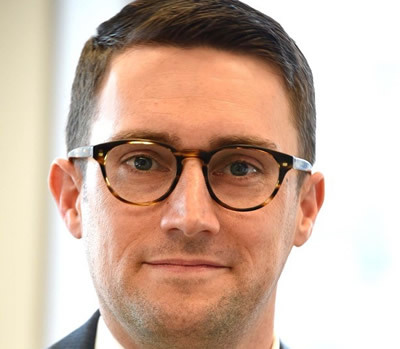 He is co-founder and Vice President of the New York State Association for Affordable Housing, a trade organization representing the interest of for-profit builders of Affordable Housing across NYS. 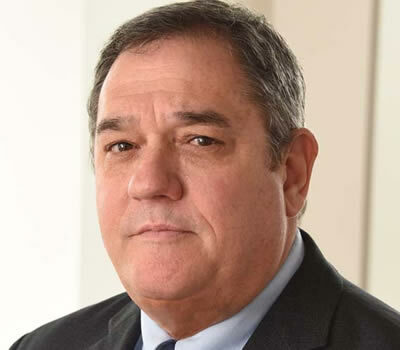 Mr. Capoccia currently serves as a Director of the Real Estate Board of New York, the Rent Stabilization Board, and the Associated Builders and Owners of Greater New York. He also serves on the Board of Directors of amfAR (American Foundation of Aids Research), The National Building Museum and La Mama Experimental Theatre, Inc, a NYC based, world renowned, cultural organization that produces and presents original performance work by artists of all nations and cultures. Mr. Capoccia has been a committed and long standing supporter of a number of non-profit, national and NYC based organizations which focus on issues ranging from affordable housing production policy, to HIV-AIDS research, to the arts and its impact on New York City. 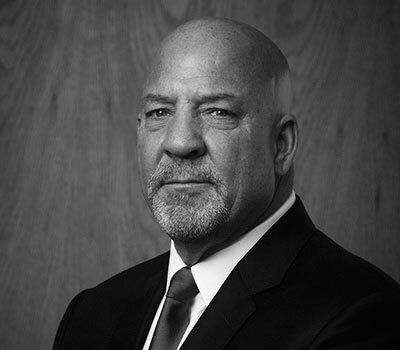 As President of Triangle Equities, Lester Petracca has transformed a family owned business, which began in 1916 as a specialized construction firm, into a thriving, successful, full-service real estate company. Triangle Equities opened its doors in 1992, specializing in public/private partnerships developing real estate throughout New York. These successful projects include the recent development of Triangle Junction, a 300,000 square foot Target anchored center in the heart of Brooklyn, contributing to the revitalization of the Flatbush Avenue retail corridor. Additionally, Triangle had previously worked with the City and local community groups to bring both Triangle Plaza and Triangle Center to the Queens neighborhood of College Point, creating retail and entertainment projects that were also catalysts for revitalization.These are just a few of Triangle Equities' projects which illustrate the success of working hand in hand with public entities and community groups. Triangle continues to create, own, manage and operate quality developments throughout the New York Metropolitan area. Mr. Petracca prides himself in working closely with the communities in which he invests and develops. He actively contributes to: Queens Chamber of Commerce, Brooklyn Center for the Performing Arts, Flatbush Development Corporation, College Point Board of Trade, YMCA, American Cancer Society, MS Society, Queens Child Guidance, Queens Theater in the Park, Tuesdays Children, and Manhasset Police Athletic League. Mr. Petracca has successfully built a business based on sincerity, respect and loyalty. Triangle has consistently grown with Mr. Petracca's leadership that initiates hard work and dedication. Louis Bevilacqua has been a practicing corporate lawyer for more than 40 years. During 30+ years of law practice leadership at Cadwalader, Wickersham & Taft LLP, Mr. Bevilacqua served a diverse and sophisticated international client base. As a senior partner and Chair of the Corporate Department he oversaw the growth of several practice groups at Cadwalader, including M&A, Corporate Governance, Corporate Finance/Securities and Private Equity. 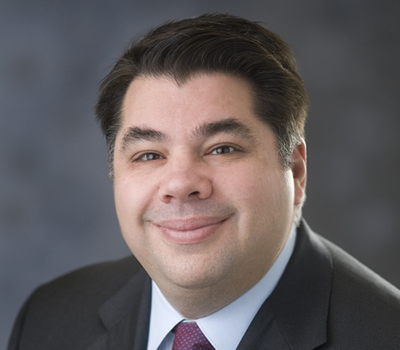 Further, as one of the longest tenured members of the Firm’s Management Committee, Mr. Bevilacqua was an integral part of the strategic planning for many of the growth and profitability initiatives that have established Cadwalader, Wickersham & Taft LLP as a cutting edge firm noted for its creativity. Cadwalader founded in 1792, is also the oldest continuing law firm in the country. During his career, Mr. Bevilacqua has advised numerous clients on ground breaking transactions, mega-mergers, international joint ventures, IPO’s, private equity buyouts and restructurings. His clients have included large industrial companies, leading pharmaceutical companies, major financial institutions, innovators and entrepreneurs and government entities. Highlights include advising Pfizer on the takeover of Warner Lambert, representing the U.S. Treasury in the restructuring of GM and Chrysler, the sale of Quaker Oats to Pepsi, and advising Oji Paper in several worldwide acquisitions and joint ventures. As Senior Counsel at the Firm since 2014, Mr. Bevilacqua continues to actively advise clients and mentor young lawyers and partners. He currently is a member of the Institute of Law and Economics at University of Pennsylvania Law School and Wharton Business School. He has authored a number of articles on corporate law and governance. Prior to practicing law, Mr. Bevilacqua served as a Surface Warfare Officer in the U.S. Navy (1970-1973). Mr. Bevilacqua has historically and continues to spend substantial time serving his community. He is currently a member of the Board of Directors and Audit Committee for the Group for the East End, a not for profit organization focused on clean water and the environment on Long Island; a member of the Board of Directors of The Nature Conservancy (Mashomack Preserve); a sponsor of Sentinels of Freedom, a foundation to assist and mentor severely wounded warriors; and previously he served as the Chairman of the Shelter Island Heights Property Owners Association and President of the S.I. North Ferry Company. Mr. Bevilacqua is a graduate of the College of the Holly Cross (BA 1970), Fordham University School of Law (JD 1977) and NYU - Leonard N. Stern School of Business (MBA 1977). Catherine McVay Hughes served 19 years on Manhattan Community Board One (CB1), more than half that time as Chair or Vice-Chair. She also chaired its World Trade Center Redevelopment Committee for seven years. She has been a leader in caring for the community by working with diverse community and labor groups, elected officials and governmental agencies at City, State and Federal levels. After Superstorm Sandy, she was appointed Co-Chair of New York Rising Community Reconstruction Program for Southern Manhattan and is a founding member of CB1’s "Manhattan Tip" Resiliency Task Force and a member of the NY/NJ Metropolitan Storm Surge Barrier Working Group. She was also appointed to the Earth Institute at Columbia University Advisory Board, CERES Presidents Council, Lower Manhattan Development Corporation, The Trust for Governors Island, WTC Scientific Technical Advisory Committee, and AIM at Melanoma Advisory Board. She also served on the Downtown Alliance Board of Directors, The Battery Conservancy Board of Trustees, Manhattan Solid Waste Advisory Board and US EPA WTC Expert Technical Panel. McVay Hughes has a Master of Business Administration from The Wharton School of the University of Pennsylvania (1987) and a Bachelor of Science degree in Civil Engineering from Princeton University (1982). 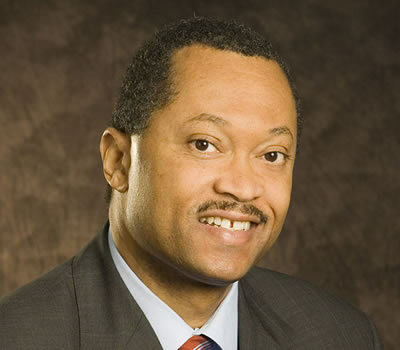 Anthony “Tony” S. Kendall was elected Chairman and Chief Executive Officer of Mitchell & Titus, LLP, the nation’s largest minority controlled accounting and consulting firm in 2009. As Chief Executive Office he is responsible for the vision, leadership and strategic direction of the firm. Tony has approximately 30 years’ experience providing professional services to Fortune 500 companies and various industries, including telecommunications, financial services, technology, hospitality, multimedia and entertainment. His clients also include emerging market entities, partnerships, private foundations and the Federal government. 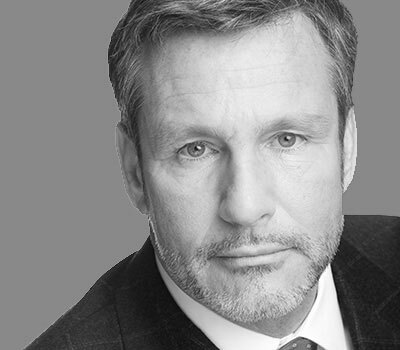 Tony has provided advisory services including investigative and dispute resolution services, wind-down accountings and expert witness testimony for a number of corporations and professional service firms. Tony earned an MBA in Finance and Taxation and a B.S. in Accounting from Binghamton University, and he graduated from Harvard Business School’s Owner/President Management Program. He is a Certified Public Accountant in New York, Illinois, Kentucky, and Tennessee and in several other states. Tony is also a Certified Fraud Examiner. Tony is the Audit Committee Chairperson for the Alvin Ailey American Dance Theatre and the National Urban Fellows. His civic and community involvement includes: past president of The Binghamton University Alumni Association and board member of the University’s Foundation and he served on the Honorable Scott M. Stringer, New York City Comptroller’s, Transition Committee. Recently, Tony served on the Public Company Accounting Oversight Board’s (PCAOB’s) Standing Advisory Group. Additionally, Tony formerly served as the Audit Committee Chairperson for Project Renewal, Inc.; the Upper Manhattan Empowerment Zone; and was a board member of the New York State Society of Certified Public Accountants’ Career Opportunities in the Accounting Profession program to name a few. Tony has won numerous awards and recognition and has moderated and participated on many panels. In 2012, New York’s WPIX-TV featured Tony in a special segment on CEOs in honor of Black History Month. Ms. Frederick, joined the BPCA in November 2017. 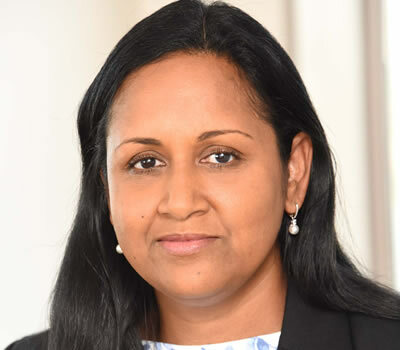 In her prior role as Director and Derivatives Specialist at Citi Private Bank, she focused on providing a range of hedging solutions and tactical investments to ultra high net worth clients with a focus on Commercial Real Estate and in the use of interest rate derivatives as a risk management tool. Prior to joining Citi in 2005, she worked with GE Capital in the Structured Finance Energy Group, focused on structured equity, lending and mezzanine investments. In addition, she worked at Fieldstone Private Capital Group and the Overseas Private Investment Corporation, providing infrastructure project finance and M&A advice to corporate and public sector clients. She also worked for the Chase Manhattan Bank in Global Mergers & Acquisitions and in Restructuring. She holds a B.A. in Economics and an M.B.A. in Finance from the University of Michigan, Ann Arbor and attended Ecole des Hautes Etudes Commerciales in Jouy en Josas, France. She is a FINRA Registered Securities Representative; her licenses include Series 7 and Series 63. She resides in the Town of Greenwich, Connecticut where she was elected to serve on the town council (RTM), headed the Finance Committee and served as Chair of the Special Committee on Retirement Benefits. In 2016, she was named by The Network Journal as one of the 25 Influential Black Women in Business. 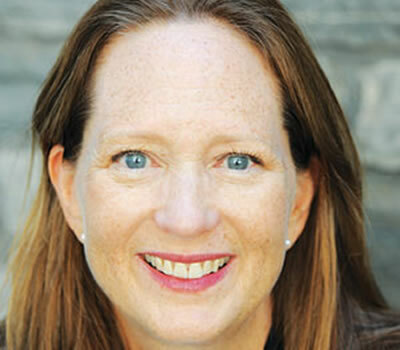 Gwen Dawson is the Battery Park City Authority’s Vice President of Real Property and oversees the Authority’s planning, design, construction, and facilities management functions. 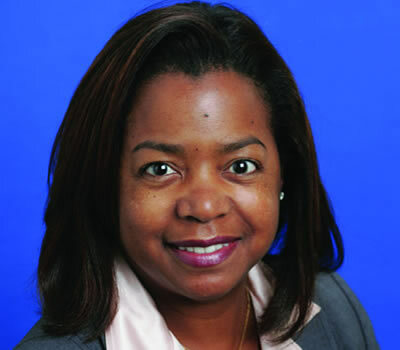 Prior to joining Battery Park City Authority, Ms. Dawson resided in Colorado, where she held management positions with the Denver Mayor’s Office and the Colorado Community College System leading public-private planning and development projects for high-profile urban properties and facilities. Ms. Dawson began her professional career as an attorney practicing real estate law and commercial litigation in Colorado. She is a graduate of Florida State University and Duke University School of Law. Craig Hudon, Director of Parks Programming, has been developing and implementing groundbreaking programming and events in Battery Park City for more than 16 years. He has overseen the expansion of cultural, educational and creative arts programming presented by Battery Park City Authority focusing on live music and theater series, and nature, art and wellness classes for all ages. Prior to joining Battery Park City Parks, Craig worked in marketing and events at Snowbird Ski Resort where he spearheaded bringing in a new era of world-class Freeriding competitions to the resort, as well as many concerts, festivals and competitions. He started his career as an environmental educator through his work in Shenandoah National Park and as Assistant Director at Bristol Regional Environmental Centers in Connecticut. Craig received a B.S. in Recreation Studies from Ithaca College. 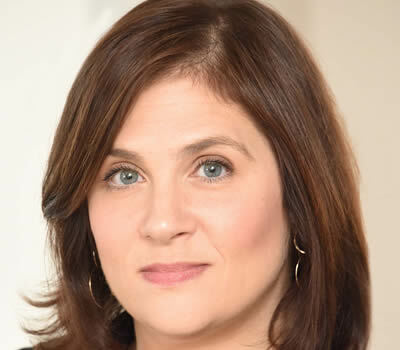 Abby Goldenberg currently serves as General Counsel for the Battery Park City Authority. Before joining BPCA’s legal staff in 2015, Ms. Goldenberg served as General Counsel for the New York City Business Integrity Commission, a regulatory and law enforcement agency dedicated to ensuring certain New York City businesses are free from crime and corruption. Ms. Goldenberg’s public sector experience is extensive, as she worked for over a decade in the General Litigation Division at the New York City Law Department. There, Ms. Goldenberg served as lead counsel in cases, including class actions, brought against the City and its employees, including challenges to City policies, and employment discrimination and civil rights claims. Not only does Ms. Goldenberg have extensive trial experience, but has successfully provided counsel and advice to numerous government entities on a wide range of legal issues. 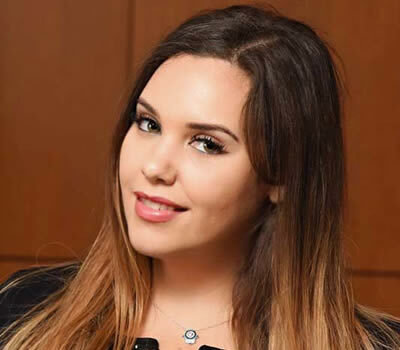 Ms. Goldenberg received a Bachelor of Music from Oberlin Conservatory of Music and a juris doctor degree from Benjamin N. Cardozo School of Law. Promoted to Director of Maintenance Department in 1999. Promoted to Director of Park Operations in 2016. Bruno Pomponio oversees the many infrastructure systems, cleanliness, miles of paths, plazas, playgrounds, parks, gardens, seating, dog parks and fleet of vehicles that make Battery Park City Parks a welcoming urban oasis, thriving setting for businesses and backyard to Battery Park City residents. Among Bruno’s most visible accomplishments are his role in the complex and imaginative water features within Teardrop Park (built 2000-2005) and the structure and mechanical systems of the Irish Hunger Memorial (built 2001-2002). These two parks are considered public art work as well as popular destination parks. Both are one of a kind, highly innovative collaborations with landscape architects, visual artists, structural engineers, stoneworkers, plumbers, soil specialists. Bruno oversees the technical and horticulture staff that maintain Teardrop Park and the Irish Hunger Memorial indefinitely. Far less visible by design but equally significant is the BPC Residential Trash Compacting Program which was launched in 2006. Bruno worked with the NYC Department of Sanitation and building managers and custodial staffs to recruit 19 buildings, which include approximately 80% of BPC residents to centralize trash pick-up to just three locations in Battery Park City. The goal was to keep trash off the street, reduce the rodent population, and reduce noise, traffic and scheduled pick-ups of trash. The BPC program is a model for other neighborhoods and cities. The maintenance department that had 20 employees in 1997 has grown to 60 women and men, including tradespeople who skillfully care for the carpentry, plumbing, stonework, electrical systems, hard surfaces and natural landscapes in Battery Park City Parks. Eric Munson comes to BPCA with a decade of management experience in city government and mission-driven not-for-profit organizations, with a focus on change leadership; policy development and implementation; operations, project, personnel, and facilities management; government relations; and strategic communications. 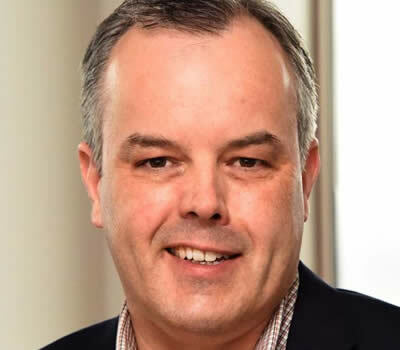 Most recently, he served as Interim Chief Program Officer at New York Cares, the city’s largest volunteer network, managing the roll-out of their five-year strategic plan. During a two-year stint in Philadelphia, he managed the construction and infrastructure of the 2016 Democratic National Convention and served as Chief of Staff of the City of Philadelphia’s anti-poverty agency. Prior to leaving for Philadelphia, he served as Chief of Staff at the Metropolitan Council on Jewish Poverty in New York City, helping to restructure that social services organization and their staff of 300. Eric began his career serving in the Bloomberg Administration — as Chief of Staff as well as the Director of Intergovernmental Affairs at the New York City Department of Finance, and before that as Senior Legislative Representative in the Mayor’s Office of Intergovernmental Affairs, where he served as the Administration’s lead negotiator on more than 100 local laws. In the days immediately following Hurricane Sandy, Eric helped coordinate the City-FEMA joint effort to distribute food, water, and blankets to storm victims. He has a Master of Arts degree from Columbia University and a Bachelor of Arts degree from New York University. Nick Sbordone came to the Battery Park City Authority after spending his career in New York City government across three mayoral administrations. At BPCA, Nick works closely and on a daily basis with the local community, media, elected officials, and partner organizations on the Authority’s full range of public-facing initiatives. Beginning his career in 2001 at the Mayor’s Office of Operations as a policy analyst, Nick helped prepare the bi-annual Mayor’s Management Report. Moving to the Taxi & Limousine Commission he worked on a range of issues affecting the taxi and for-hire vehicle industry, including wheelchair accessibility and the sale of new taxicab medallions. Then, at the Department of Information Technology & Telecommunications he served as government affairs director and spokesman and for the 311 non-emergency information and services hotline, for 911 system modernization, cable television and broadband, cybersecurity, and the City’s open data and free WiFi initiatives. Born and raised in Brooklyn – with a sojourn in central New Jersey – his passions include history, architecture, sports and U.S. presidential trivia, and all things New York City. His is a familiar face at community meetings and assorted public gatherings across downtown Manhattan, so please feel free to stop over and say hello. Sharmila Baichu is a Human Resources professional with over 20 years of experience in graduated roles. She has worked in both the public and private sectors including financial services, healthcare and most recently construction. She also held an HR Director role with Hudson River Park Trust. Teaching is Sharmila’s second passion. As such, she taught 2nd and 3rd grades in Bedford Stuyvesant, Brooklyn and test preparation for the SAT and SHSAT. Sharmila holds a Bachelor of Business Administration Degree from Pace University and a Masters of Early Education from Long Island University. She is also certified as a Senior Professional in Human Resources (SPHR, SHRM-SCP). Sharmila has a true passion for providing HR solutions for organizations by helping them build their HR infrastructure through technology, compliance and people. She enjoys coaching leaders to inspire and empower their teams and mentoring junior HR professionals to reach their full potential. 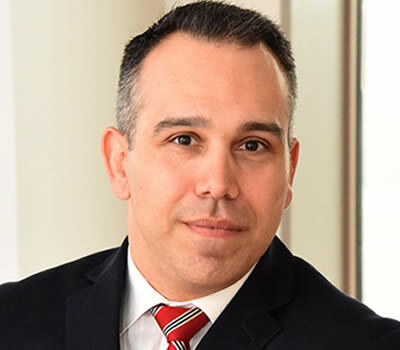 Alexis Torres joined the Battery Park City Authority in 2014 after five years with the City of New York in various roles during the Bloomberg Administration. Beginning her career in 2009 as a Licensing Specialist at the NYC Business Integrity Commission (BIC), she worked to help eliminate organized crime and other forms of corruption from the public wholesale markets, trade waste, and shipboard gambling industries. In 2011, she became BIC’s Complaints Coordinator, a role in which she drove more than 3,000 incoming complaints and inquiries to satisfactory resolution. For these efforts BIC earned a 100% success rate and multiple excellence in customer service citations. 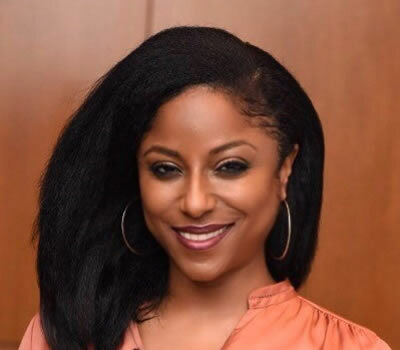 Alexis later became the Special Assistant to the BIC Commissioner, and then served as Special Advisor to the Battery Park City Authority to the President and Chief Operating Officer. In her current role at the Authority, Alexis oversees implementation of a variety of special projects and events, including the organization’s annual Earth Day programs with local schools. Alexis holds a Bachelor of Science degree in Public Relations and a Master’s Degree in International Communications from St. John’s University. Jahmeliah Nathan joined the Battery Park City Authority with an extensive 15-year career in the public sector. Most recently, she served as the Chief Diversity Officer of the Governor’s Office of Storm Recovery (GOSR), where she cofounded and developed that agency’s Office of Diversity and Civil Rights, leading the Minority and Women-Owned Business Enterprise (MWBE), Federal Section 3, and Fair Housing and Equal Opportunity (FHEO) programs for New York State’s $4.4 billion disaster recovery spend. Under Jahmeliah’s leadership, the agency surpassed NY State’s 30% goal for MWBE utilization all four years of her tenure. Prior to GOSR, Jahmeliah held several policy and management positions in the Bloomberg Administration, including Executive Director for Intergovernmental Affairs for New York City’s Department of Education, Chief of Staff for the Mayor’s Office of Contract Services, and Senior Legislative Analyst for the Mayor’s Office of Legislative Affairs. Ms. Nathan has a Master’s Degree in Public Administration from Long Island University and a Bachelor of Arts in Philosophy, Politics and Law from Binghamton University. She has also served as an adjunct professor at CUNY’s Hostos Community College, where she lectured on Public Administration and Public Policy.